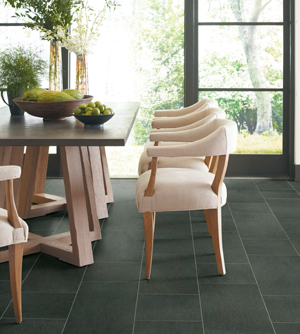 Reminiscent of timeless volcanic stone, Crossville’s Basalt features fine graining, authentic undertones, and the subtle look of crystallized magma for added sophistication. Specifically designed to look like basalt volcanic stone, the collection has calibrated edges that add to the natural look and feel of the product, providing an additional layer of texture and character. Simultaneously beautiful and simple, Basalt comes in five colors and two modular sizes, 12x24 and 12x12. Crossville is available from ISC Surfaces in Missouri, Kansas, and Central / Southern Illinois. All sizes noted are in inches. For more details, please click on the links to visit Crossville's website.